Quick overview A guide to the modes and methods of Creative Writing research, designed to be invaluable to university staff and students in formulating research ideas, and in selecting appropriate strategies. Creative writing researchers from around the globe offer a selection of models that readers can explore and on which they can build. 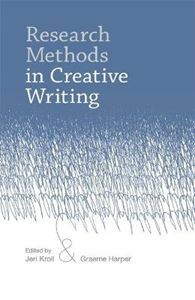 A guide to the modes and methods of Creative Writing research, designed to be invaluable to university staff and students in formulating research ideas, and in selecting appropriate strategies. Creative writing researchers from around the globe offer a selection of models that readers can explore and on which they can build.